Just at the entrance of the Akaroa Harbor we say a dolphin approaching the boat. It was a Hector's dolphin. With an adult size of 1.4 meters (about half the size of the other dolphins), it is one of the smallest cetaceans. They are very recognizable for the rounded fin, and the characteristic hump near the blowhole. 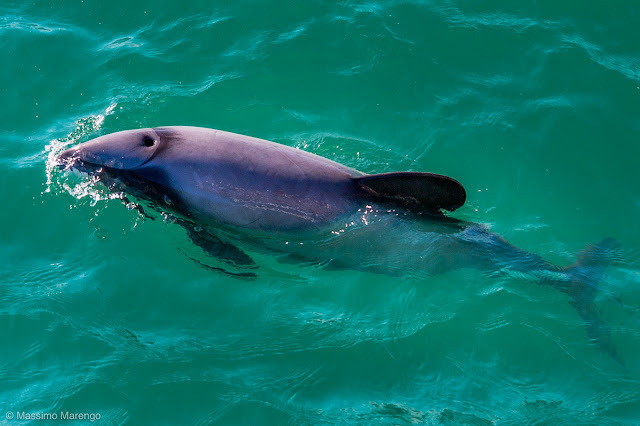 It is also one of the rarest, with less than 3,000 breeding couples in the all of New Zealand, which is the only place in the world where the Hector’s dolphin lives. The Hector's dolphin is a critically endangered species. 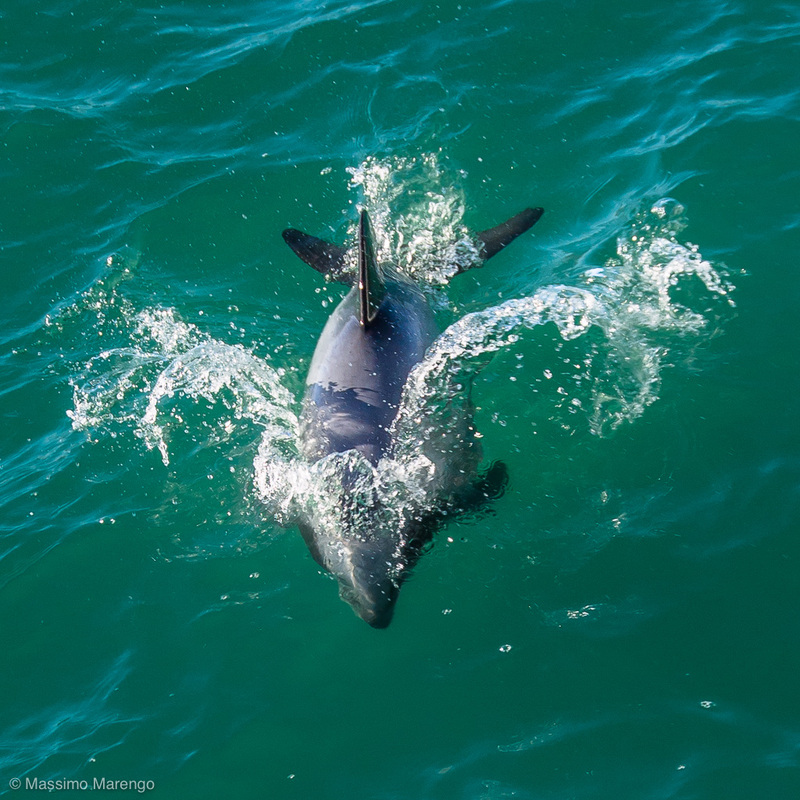 The Maui dolphin, which is a subspecies of the hector's dolphin living exclusively in the New Zealand North Island, has only 110 individuals, 25 of which are breeding females, and is the most endangered subspecies of all marine mammals. Hector’s dolphins are very sociable. In fact we knew of the chance of seeing one because the Akaroa boat tour we did was advertising it, and even the possibility of swimming with them. There is at least one company in Akaroa that brings wetsuit-clad tourists in the part of the Harbour where the dolphins live. The dolphins are so used to people that they often approach the swimmers, and play around them. That seems fantastic but it does not surprise me too much, as something similar happened to us in Hawaii. We were kayaking in Maui when a group of dolphins approached and started to swim along. There was even a mother with the calf, and they came really close to us. I still get goose-bumps when I think about it, because being close to dolphins is really a unique experience. It was nice that this Hector dolphin in Akaroa was kind enough to approach the boat and let me take this photo of him.